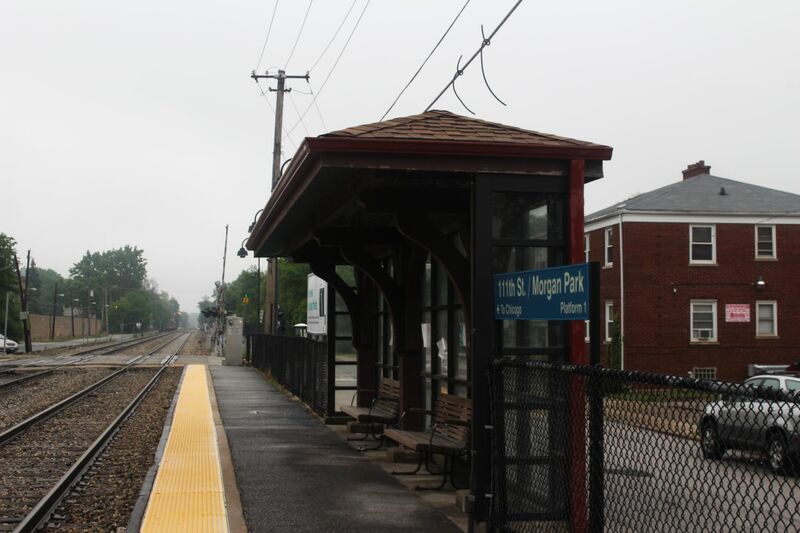 111th Street-Morgan Park is a stop on the Rock Island Line's Suburban/Beverly branch where the line stops every 4 blocks. 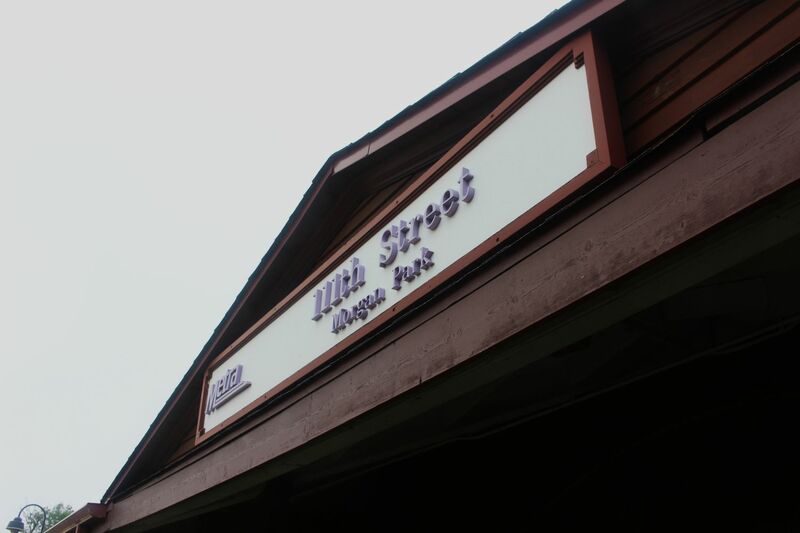 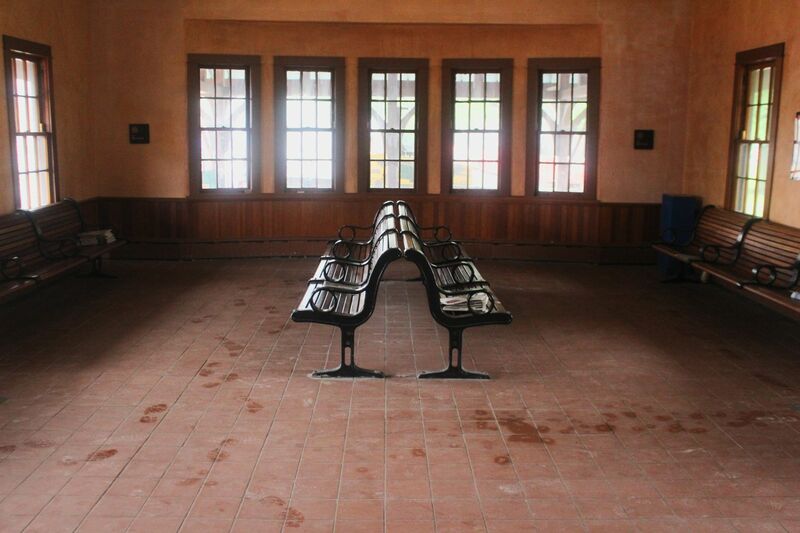 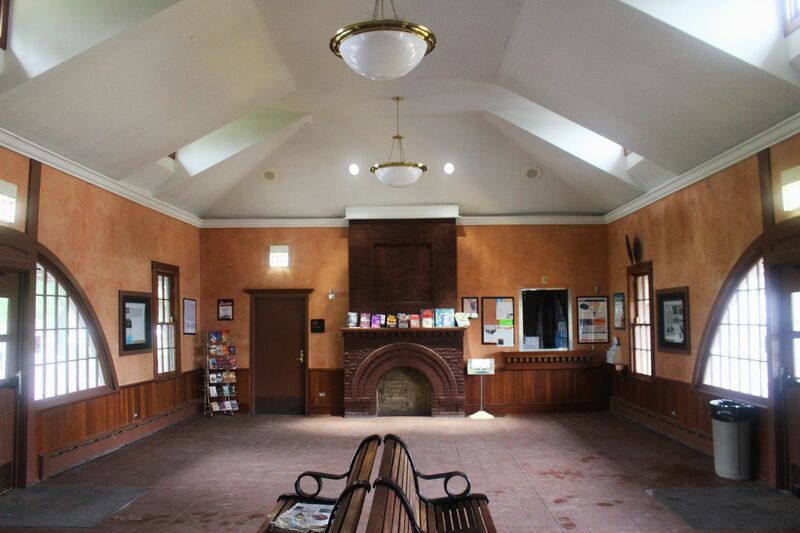 The station has a large historic brown station house with a second story and protruding porches that cover some benches, providing a nice, cozy covered outdoor waiting area. 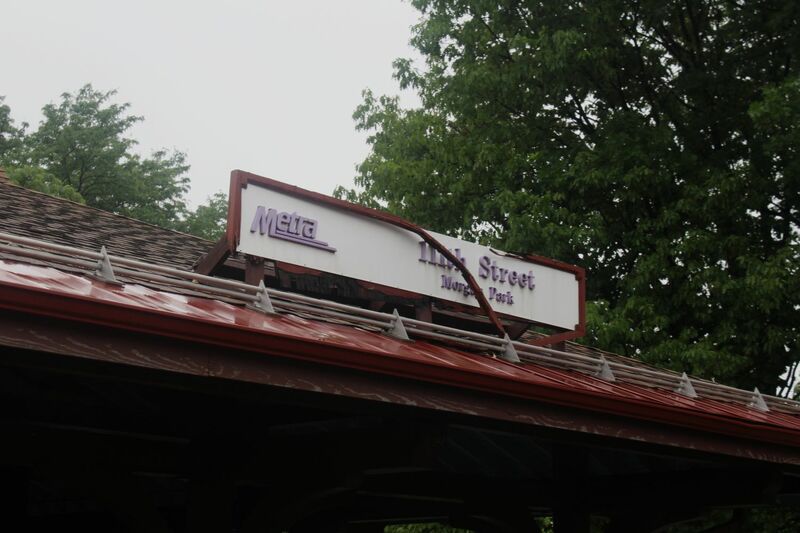 Signs on the station house are in an odd purple text on white format with the Metra logo. 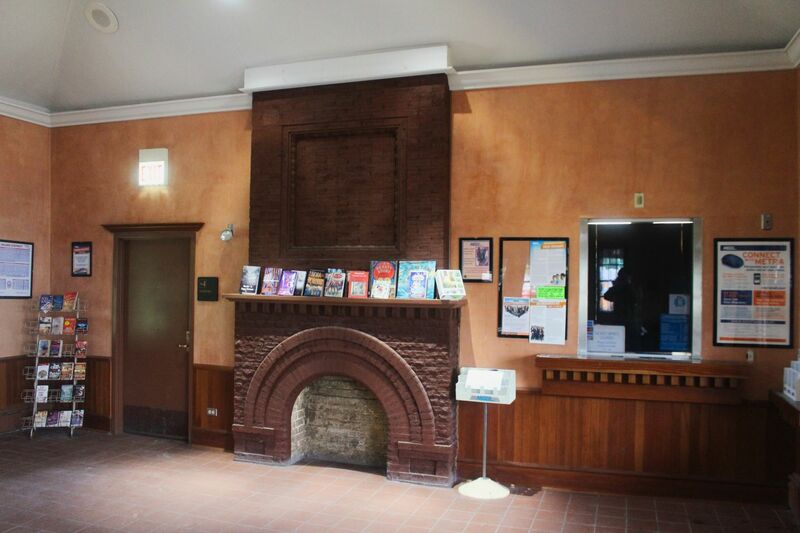 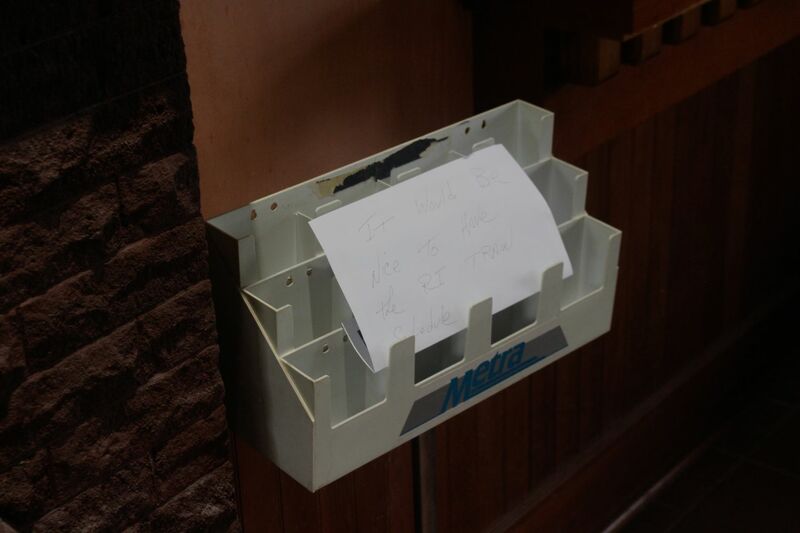 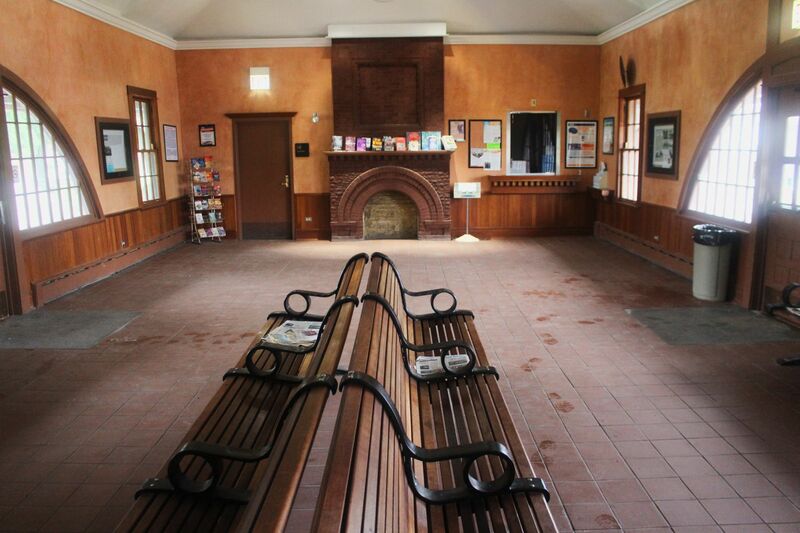 Inside is a waiting area with a number of wooden benches, the brick remains off a fire place (the mantle now used as a community book exchange), and the ticket office that permanently closed on September 8, 2017. 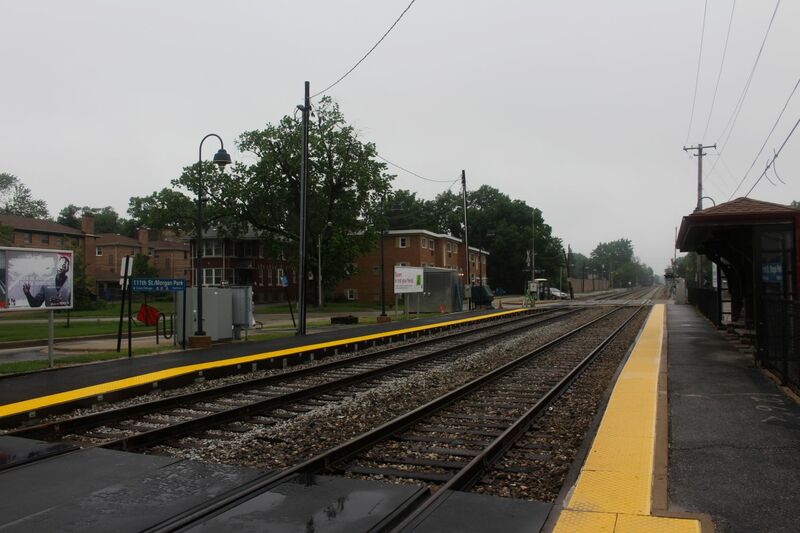 The station has two side platforms that run between the grade-crossings of Prospect Avenue (that crosses the tracks at a diagonal) and 111 Street/Monterey Avenue. 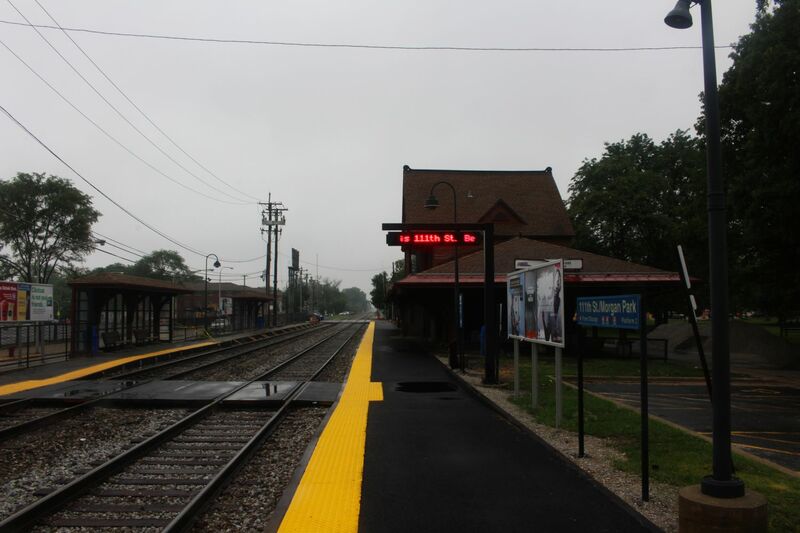 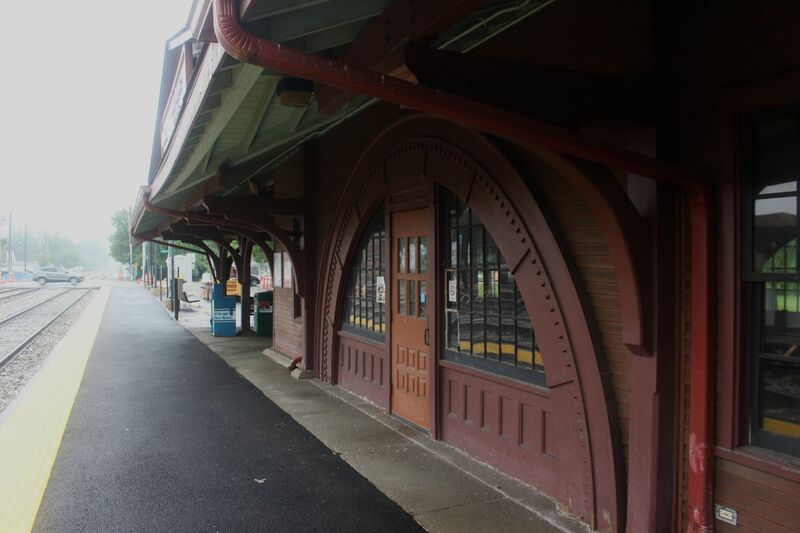 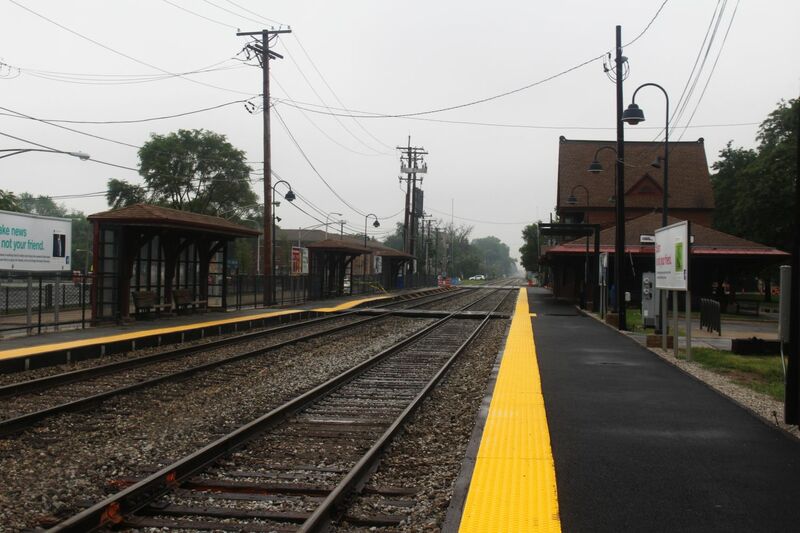 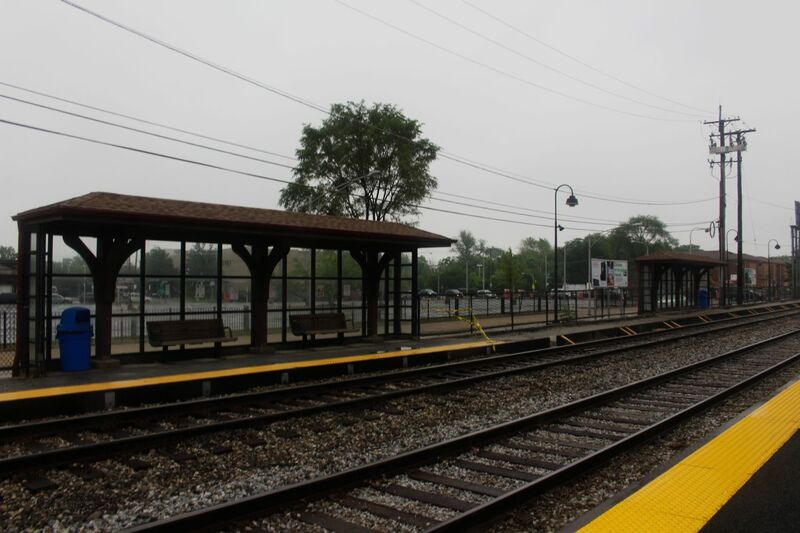 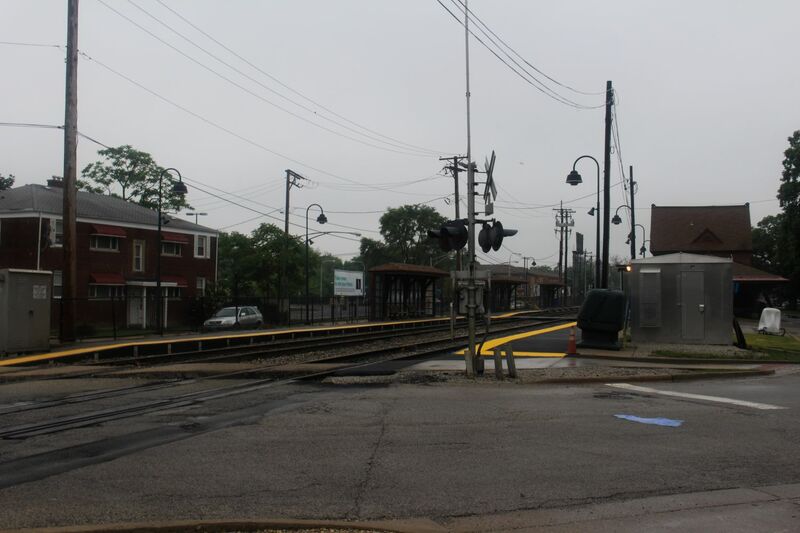 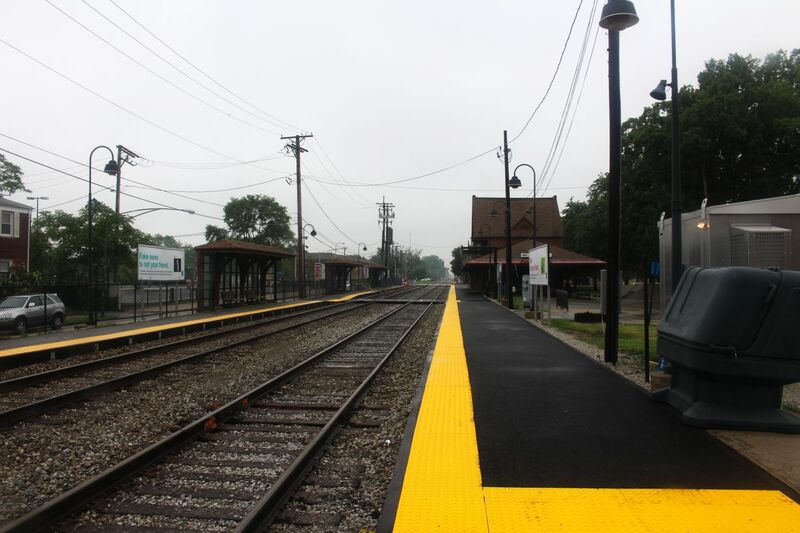 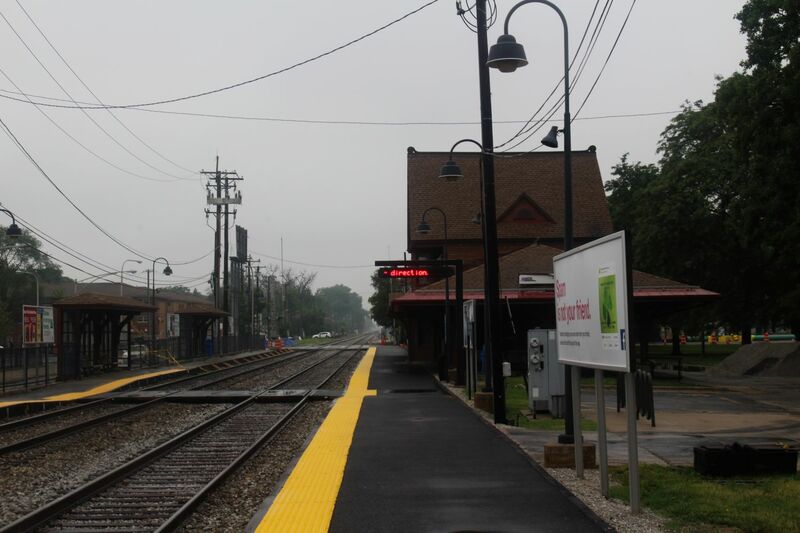 The depot is located along the Joliet-bound platform, between the station (with some parking spaces along the platform) and Bohn Park. 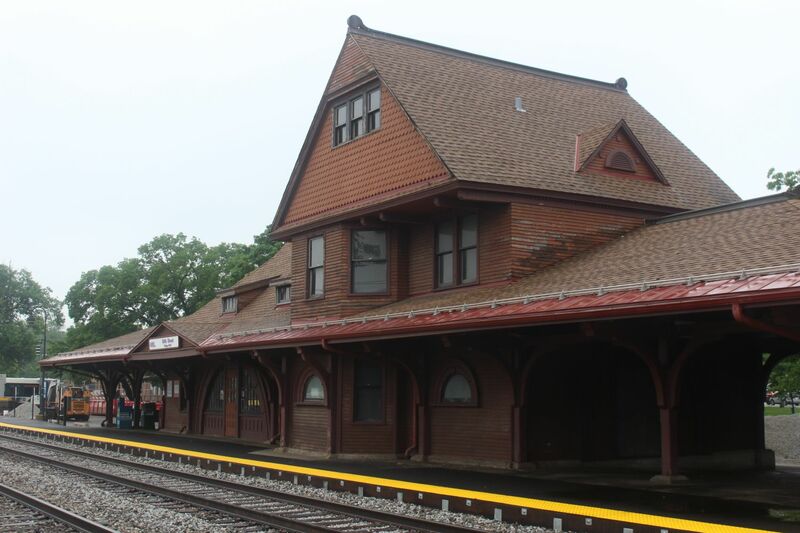 Chicago-bound passengers have three narrow canopy structures held up by curved wooden beams in the same style as the depot. 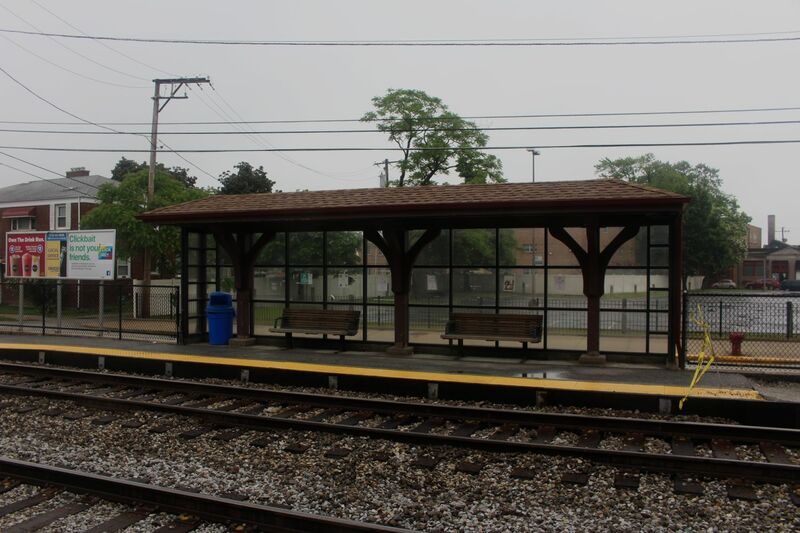 These canopies each over a couple benches with a glass windscreen behind them. 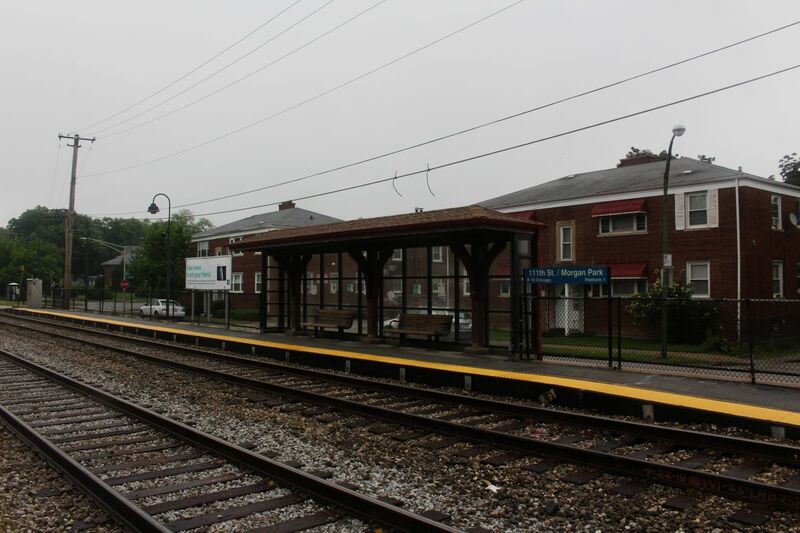 This platform is directly along Hale Avenue, with the station's main 136 space (permit only) parking lot across Hale Avenue. 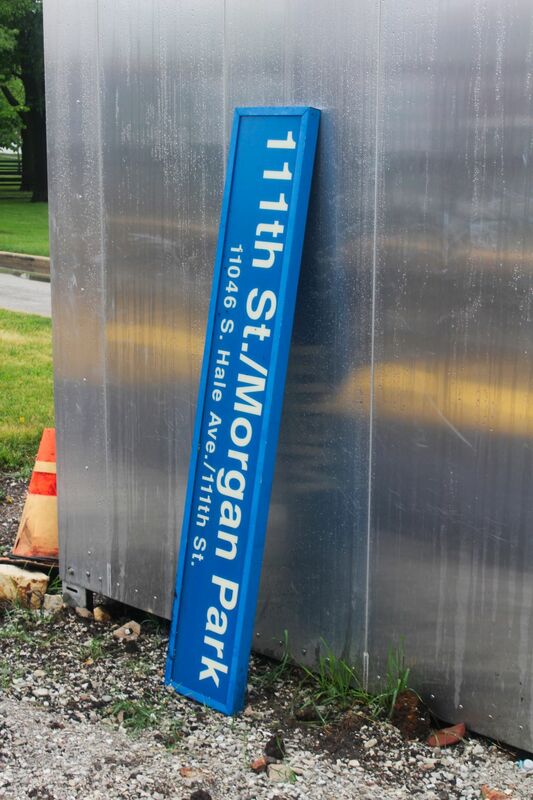 Additional Parking is along Hale Avenue on the east side of the tracks north of the station (flowing to 107th Street) and along Hale Avenue on the west side of the tracks (that changes sides of the tracks at 111th Street) running south to 115th Street.